Consult with us at our studio or at your location. We provide a detailed written quote, e-mail confirmation correspondences to keep you informed of changes and updates, delivery dates, and times. Personal attention is our priority. We have helped people celebrate at Whitney Oaks Country Club in Rocklin, Catte Vedera in Lincoln, Thunder Valley Casino, churches, funeral homes, etc. Complete our contact form to get in touch with us about setting up a consult. We can arrange to have stunning flowers and arrangements delivered weekly to enhance a lobby, entryway, foyer, or reception area. Amaze and inspire your clients and customers when they visit your workplace. Dress up a plain or tired area at work with a beautiful bouquet. We can also assist you with arrangements, bouquets, gift baskets or plants to celebrate a company anniversary, an employee birthday, or a new baby arrival, or just send one of them to thank a client. Your use of our corporate services are limited just by how big you can dream. 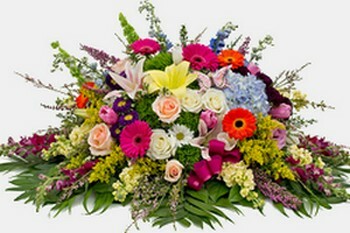 Personalized flowers to celebrate the life of your loved one. Choose from our selection guide online or meet us at our studio to view our custom pieces. From kindergarten to college, we can help you whether you need an orchid lei or a bouquet of flowers for the graduate, or create a magnificent floral arrangement to decorate the graduation stage. Abstractions has years of experience providing local schools such as Rocklin High School and William Jessup University with their pieces. 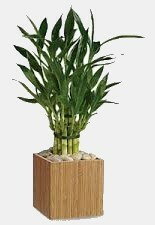 Provided in ceramic pots with options of moss or polished rock accents. Greenhouse plants such as peace lilies or tropical anthurium. Flowering plants such as azaleas, orchids, seasonal bulbs. A selection of fresh fruits and gourmet treats to say thank you or I am thinking of you. Customized mix of fruit, gourmet cheese, and crackers.